If you use the app of Pinterest, there is a high probability that you are already aware of what Yi Peng is. You might not be aware of it by name, but you will probably have seen them. 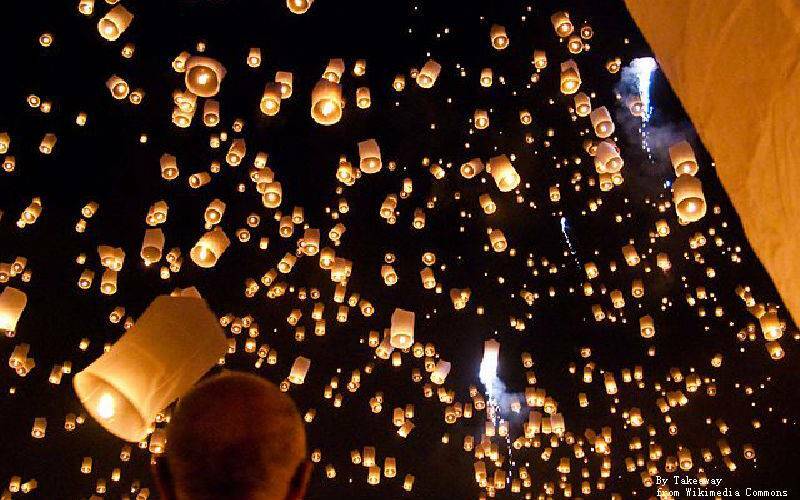 Also known as Yee Peng, they are glowing paper lanterns. They are a common sight in the North of Thailand during the popular festival of Loy Krathong, when thousands of Yi Peng flower baskets are also drifted into the river making it a sight to see. The word Loy Krathong when roughly translated means "to float a basket." When you go down to the Ping River you will see that the entire river is literally lit with countless floating baskets. These baskets are adorned with flowers and have a candle and incense sticks in the middle. Readymade ones can be purchased from the vendors that have set up stalls around the streets and if you are feeling creative you can make one yourself. It is a simple enough procedure. When is the Loy Krathong Festival? The Loy Krathong festival is celebrated in the twelfth month of the Thai lunar calendar and therefore has no fixed dates. It's a different date every year which makes it booking for the event confusing and troublesome. In spite of that Loy Krathong is definitely an experience of a lifetime and one of the most awe-inspiring festivals that you will ever witness. It won't be a bad idea to time your next visit to Chiang Mai during this festival. How long is the Loy Krathong Festival? Loi Krathong is all about these flying lanterns. It spans three days with it extending to more days in some other parts of Thailand. Different people have different views as to what's the place in Chiang Mai to witness the flying lanterns. Let me give you a breakdown of the hippest and happening places. 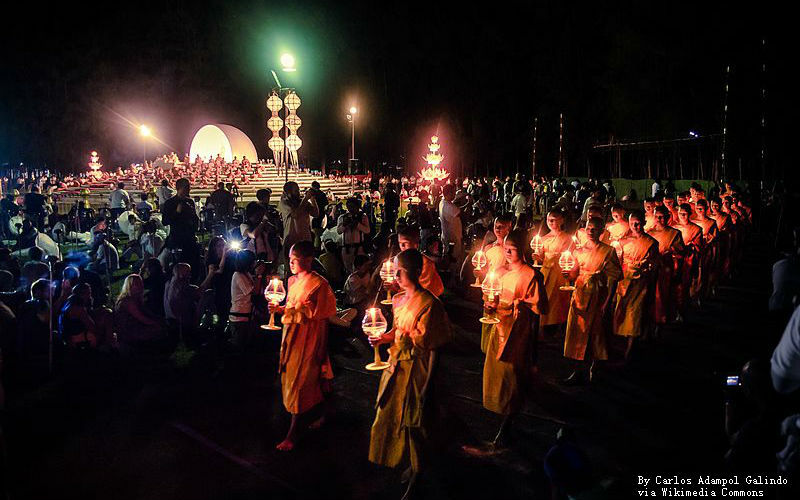 One of the most amazing lantern releases conducted at Mae Jo University situated in Chiang Mai. It is also popularly known as the Lanna Dhutanka grounds. The second most hip and happening activity related to the Krathongs is a week post the end of the Krathong festival. The week that leads up to the Loy Krathong festival is full of preparations. You can see colorful Lanterns adorning many buildings such as the kings' monument and also around the Thapae Gate. You will see several sellers setting up their stalls for these lanterns a few days before the beginning of the event. The first day of the Krathong is all about the release of these beautiful lanterns. The sky is filled with countless of them being flown away by the locals and also the tourists. One lantern release is worthy of mention here and that is the one that's held behind the Mae Jo University located at the Lanna Dhutanka grounds. Second day of Loy Krathong Festival - Rise to the Peak! 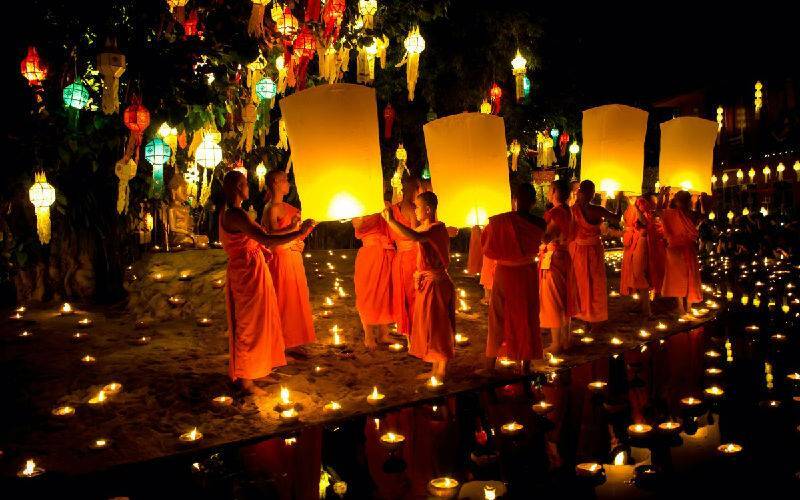 The second day is celebrated all over Thailand with Chiang Mai becoming home to the festival of Yee Peng which is celebrated by releasing lit lanterns into the River Ping. There are several activities being held in the areas of Chiang Mai Municipality and also around the Nawarat Bridge. These activities mostly revolve around learning how to make your own Floating lantern or taking part in Krathong competitions. These areas conduct an official launch of these activities when the sun starts to set around 6 in the afternoon. The celebrations are at its peak around 7-10pm. This is the time when there are several people gathered together alongside the Ping River to indulge in the festivities and witness breathtaking fireworks that can be seen along all the main bridges starting from Nawarat. The fireworks keep on displaying into the early hours of the morning even after the peak hours. The third and the last Day the respective festival is a fun-filled affair that is at its peak during the day. On this day most of the Thais head back home. The main attraction of the last and final day is the parade that begins around 6:00 pm. 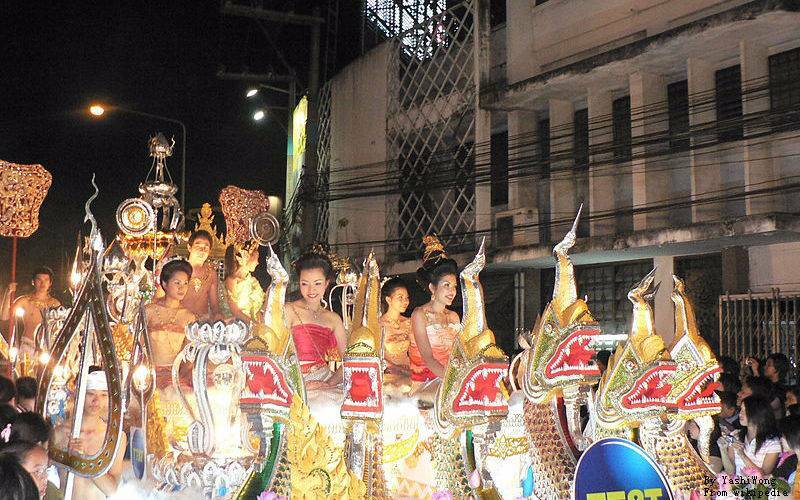 The parade is a walk from the Thapae Gate to the Office of Chiang Mai Municipality. Thousands of people gather around the parade route to see the festive and attractive floats as they are passing by. It is no doubt a bewitching sight and a fun experience. You might expect a lit lanterns activity to be quiet and peaceful but it's the exact opposite and is very loud and noisy. For those who want to get away from all the noise and are looking for some peace and quiet, they can take a walk along the river. You will see several of Krathong's being flown away there also but it'll be overall a little quieter. There will be several food and drinks stalls alongside the road/river as well and you can enjoy some yummy food. Do I need ticket for loy krathong Festival in chiang mai? You might wondering that if there are paid event. The answer is Yes. For many years there have been two main Krathong events that used to take place, one of them being a paid event while the other one used to be free. The later event used to be for the locals. But since a couple of years now the free event has been canceled. As for the paid event it is held in Chiang Mai where the “Loy Krathong” program takes place a little before or a bit after the three-day celebrations of the festival. Owing to its popularity the tickets are usually sold for as high as 100 dollars per entry. The main event takes place right outside Chiang Mai's city center. The ticket sells out real fast so book in advance is a better idea. Click and Creat a Private Tour: Design My Thailand Tour Now!